is scheduled to be held in Spring 2020. Please refer to our upcoming Fall 2019 CCS Open House event scheduled to take place on Sunday, September 15th, 2019. Join us to learn more about our inclusive, four year, certificate-based, college experience for students with intellectual and developmental disabilities. Learn about our coursework, internship and career development opportunities, campus involvement, housing options, and social activities. Hear from CCS students, staff, mentors and TCNJ Faculty. 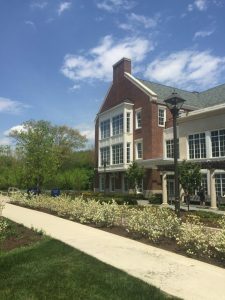 Participate in a TCNJ campus tour. Student’s age, current school, school year or year of high school completion. Parking: Confirmation and parking information will be emailed back to you.